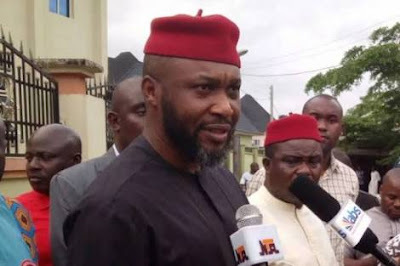 A former Minister of Aviation, Mr. Osita Chidoka, yesterday said he was not involved in a N3.9billion fraud as alleged by the Economic and Financial Crimes Commission (EFCC). He also said he voluntarily went to the EFCC for interrogation when he learnt that he was wanted by the anti-graft agency in connection with the procurement and Installation of sensitive security cameras & infrastructure in five International Airports. He said the payment for the N3.9billion contract was done by the administration of President Muhammadu Buhari after he had left office. He said the commission had discovered that it was allegedly misled by a sub-contractor. According to the EFCC, the contract was awarded to Bri and Bru Limited. The agency also said Bri and Bru Limited sub-contracted the project to another company Surcomtec Nigeria Limited owned by one Chibuzo Obi. But the ex-Minister said although he appeared before the EFCC team last week and on Monday, he had no case to answer. Chidoka, who spoke with The Nation, said: “When I heard that the EFCC was looking for me, I personally called the agency and voluntarily went to its office in Lagos because it coincided with one of my trips. “I was not involved in any scam because the payment for the N3.9billion contract was done by the present administration after I had left office. So, there is no scam anywhere. “I am not connected with the cash at all. I also have nothing to hide. What happened was that a sub-contractor wrote a petition against the contractor and the EFCC investigators had to look into his petition. He clarified that the EFCC team joined issues with him on the payment of N7million to his campaign funds by a contractor.